The first Christmas album from Hillsong in over 7 years features last year s popular radio single Born Is The King , new arrangements to classic Christmas hymns as well as brand new songs to help keep our minds and hearts focused on the true reason for the season. I really enjoy Christmas music, but if I'm honest, it gets old quick after you've heard the same thing over and over again. Hillsong's sound though, isn't boring. In fact, I enjoyed some Christmas songs that I haven't in many years. They create this emotional bond with the lyrics that just soars and carries you away. My favorites on this album are Emmanuel, Unto Us and Born is the King. That's not to say the other tracks aren't good, because they are. The three I mentioned just really resonated with me the most. I usually have a few favorite cd's playing in my truck as well as a few family favorites in our home over the holidays and this one will definitely be at the top of both stacks! * I received a copy of this CD in exchange for my own opinion. I love "Carol of the Bells!" So many wonderful versions! Silent Night is my fave Christmas song. I love the Christmas Shoes and Silent Night. Mary Did You Know has become a favorite ,but I love all Christmas songs I sing them all yr long . I love all Christmas songs, but The First Noel is my favorite. It must be Silent Night. Thanks for the giveaway. Somewhere In My Memory by John Williams, from "Home Alone"
Silent Night. I used to sing it to my kid's at night to help them sleep. I like the song "Winter Wonderland". my fav is the little drummer boy. carol of the bells, Love it!!!! 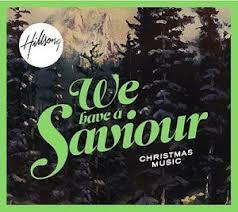 It Would Be Great To Win The Hillsong:We Have a Savior CD. By Sammy Kershaw And Blue Christmas By Cyndi Lauper.